There are many indicators available that provide information on stock and index movement to help you time the market and make money. Market strength and volatility are two such categories of indicators and a description of six of them are described in this “cut and save” article. Read on! – focuses on the importance of volume and how it can affect a given price and the security’s momentum, the premise being that volume precedes price movements. a) If volume is decreasing when the price of a security is rising then it is a sign of increased selling pressure, which if continued, will send the price of the security lower. 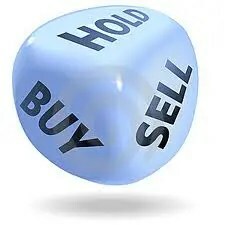 b) The opposite is true with increasing volume on up days, which is a sign of buying pressure. c) If the OBV is moving in the same direction as the existing trend, it is a signal that the strength of the trend remains. d) A 20-day moving average of the OBV is often added and when the OBV crosses the 20ma the divergence signal of a trend reversal is confirmed. – attempts to gauge supply and demand by determining whether investors are generally “accumulating” (buying) or “distributing” (selling) a certain security by identifying divergences between the security price and volume flow. In practice, this indicator is used to find situations in which the indicator is heading in the opposite direction as the price. Once this divergence has been identified, the trader will wait to confirm the reversal and makes his/her transaction decisions using other technical indicators discussed here. – monitors the flow of money in and out of the market by plotting the difference between the 10-day exponential moving average and the 3-period exponential moving average of the Accumulation/Distribution. This simply compares the money flow to the price action of a security which, in turn, allows the chartist to recognize tops and bottoms in short cycles. It is suggested that the Chaikin Oscillator be implemented in conjunction with a 21-day envelope based on the price of the security. Price envelopes are plotted at a set percentage above and below a moving average to indicate overbought and oversold levels. – used to measure the strength of money going into and out of a security and, as such, can be used to predict a trend reversal. It is similar to the RSI but accounts for volume whereas the RSI only incorporates price. The MFI is range-bound between 0 and 100 and is interpreted in a similar fashion to the RSI. – the standard volume histogram re-applied to price instead of time so, instead of being able to determine when a stock is going in and out of favour (indicated by increasing volume levels over time), PBV enables you to determine the level of buying or selling interest at a given price level. Volume strength (as shown by the horizontal length of the PBV histogram and indicating the amount of shares that traded at the given price level) and volume type (as shown by the two different colours seen on each bar and referring to the number of shares sold compared to the number of shares bought) allow you to determine the strength of a particular price level. Once you have this information you can combine it with trend lines and other indicators to determine support and resistance levels. – a band plotted two standard deviations away from a 21-day simple moving average. Because standard deviation is a measure of volatility, Bollinger bands adjust themselves to the market conditions. When the market becomes more volatile the bands widen (move further away from the average), and during less volatile periods the bands contract (move closer to the average). The tightening of the bands is often used by technical traders as an early indication that the volatility is about to increase sharply. The closer the prices move to the upper band, the more overbought the market, and the closer the prices move to the lower band, the more oversold the market. There you have it – an extensive and in-depth assessment of how to evaluate buy/sell decisions for any security using the 5 market strength indicators and the most frequently used volatility indicator. If ever there was a “cut and save” investment advisory – this article is it! Previous Which of These 30 Common Investment Errors Are You Making?